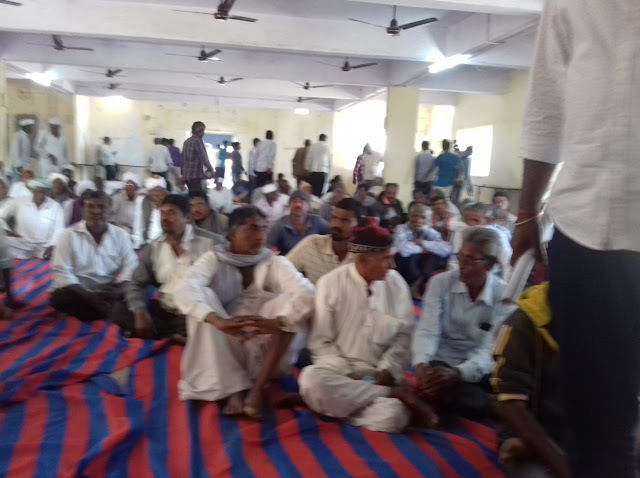 Farmer representatives of from several villages gathered on Monday at village Bhramanvada, Chanasma taluka in Patan district, North Gujarat, to protest against the refusal of the Gujarat government to provide them Narmada water from the canal passing through the region. Belonging to 24 villages of Chanasma taluka they have been petitioning the government and local authorities for irrigation water from the Narmada canal for quite some time. Amidst heavy police presence, the farmers set off for the Khorsam pumping station to lift the water themselves. However, the police stopped them. Farmers argued with the police and the pumping station staff. They were informed by the staff of the pumping station that a joint meeting was being held in Gandhinagar to decide on the matter. The farmers decided to wait for a positive decision, declaring, if they were not provided with water, they would proceed to Chanasma Char Rasta and conduct a roadblock agitation.